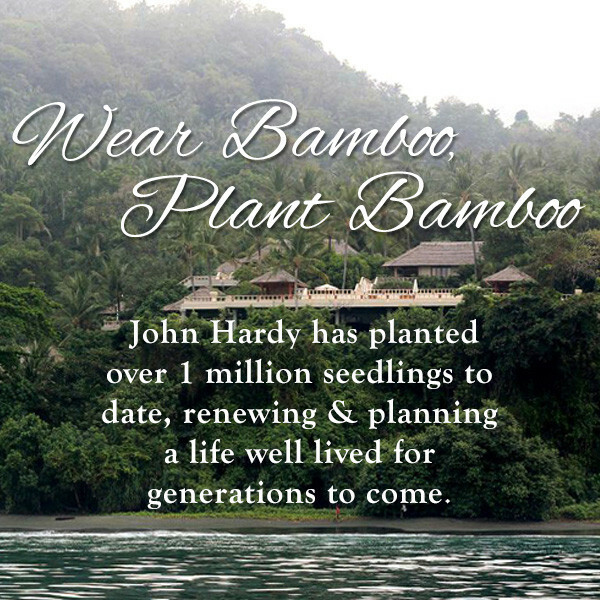 From John Hardy jewelry, this bamboo pendant is part of the Bamboo collection. The natural grace of this sterling silver pendant comes from the bamboo design of two interlocking bamboo rings that float on a sterling silver chain. It is also adjustable from 18" to 20" in length. 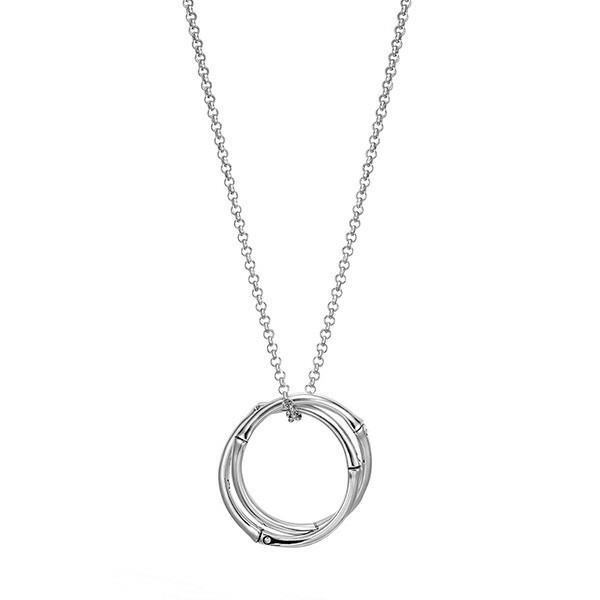 You'll love the clean look that you get with this John Hardy pendant chain necklace.